Just like that, it is officially wintertime. No matter what your plans are for the winter, decks need to be winterized. Even if you plan on not using your deck at all during the winter months and watching the snow pile up instead, your pressure treated deck may need some TLC after this summer to keep it in tip-top shape for the next season. Whether you have a pressure treated deck, stained deck, painted deck, or composite deck, there’s something helpful in here for everyone! 1. Inspect: Inspect your entire deck. This means checking for loose screws, damaged boards, wobbly handrails, poorly flashed ledgers, broken steps, etc. Make adjustments and improvements as needed. Remove any furniture and potted plants that sit directly on your deck boards so moisture isn’t trapped and causes mold and mildew. 2. Clean*: Sweep the debris off your deck. Wash the deck with a mild soap and water. Some bleached products will damage your deck and are not necessary, especially if you have a composite deck. Use a brush to scrub any staining and stubborn areas then rise your deck with a hose. 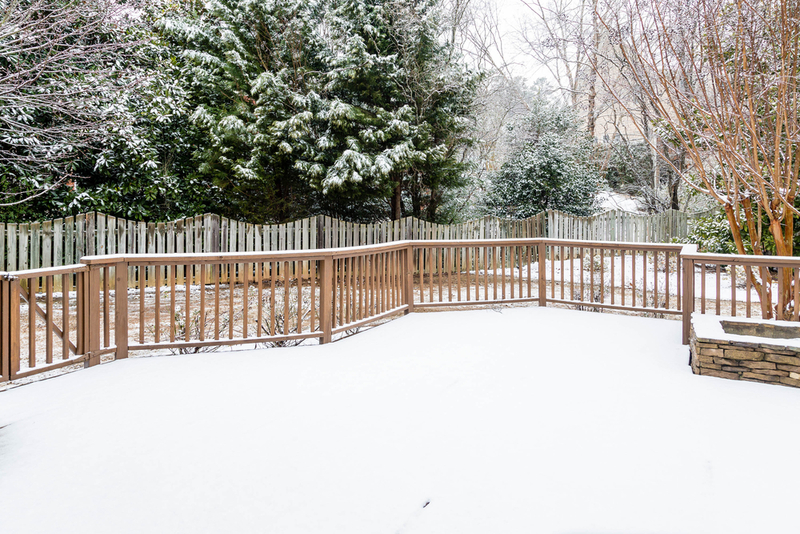 If the cold weather snuck up on you and you’re needing some quick tips on how to winterize your deck, check out these tips. *When the snow does come, use a plastic shovel for minimum damage to your decking, railing, and siding. Be sure to shovel parallel to the deck boards to prevent scratching on any type of decking. 3. Protect: Make sure your deck is completely dry. For pressure-treated decking & railing, use a water repellent finish to protect against damage caused throughout the harsh winter months. 4. Enhancing: “Wait, there’s a 4th step?” Yes! The main reason why we only work with composite material is the peace-of-mind the quality product and installation provides with lasting product and labor warranties. Your safety is our #1 priority. Why not save yourself the headache this winter and have the exterior experts help you out?